Spring is upon us once more and with it, came all the fresh green vegetables. This is a great time to eat a little healthier and maybe lose a few pounds in the process. These are three of the best green recipes out there that will make your body look better and feel great. Don’t worry, they also taste incredible, are easy to make, the ingredients are available throughout the country and they are very affordable as well. This is a fantastic, simple, vegetarian pasta. 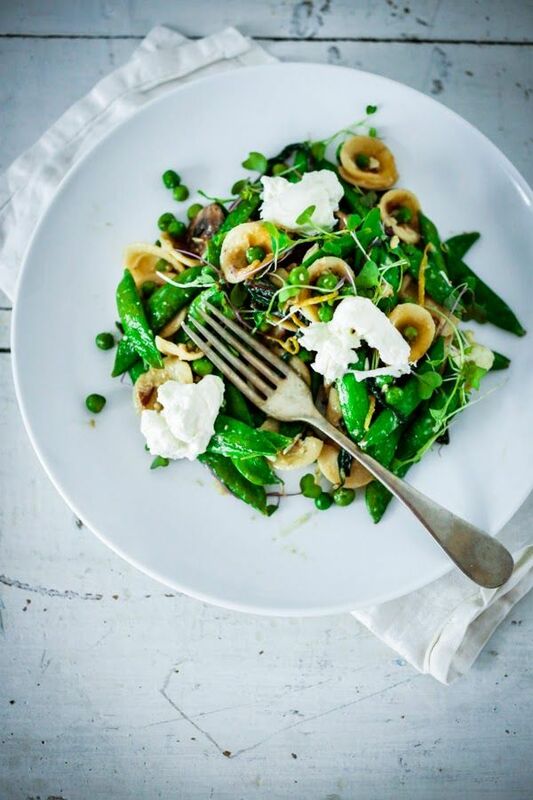 It contains fresh peas, wilted greens, mushrooms, sugar peas and creamy Burrata cheese. The recipe, originates from the South of Italy and it is named for its shape, that means “little ear”. Fill a large pot with 4 quarts of water and add 2 tablespoons of salt and then leave it to boil. Heat one tablespoon of oil at medium-high heat, by using a skillet. Sauté the onion until tender. After that, add the mushrooms and turn down the heat to a medium level. Sauté them until you get a golden and tender look. Then, add a pinch of pepper and salt; add wilting greens and sauté, mixing frequently until just wilted. Then, set aside for later. Whip two eggs in a smaller bowl and set them aside afterwards. When the water is about to boil, add the pasta and stir until it begins to boil. After that, turn the heat down and wait for approximately 7 minutes, until the pasta is well cooked. To be sure of the time required for the pasta to boil, it is highly recommended that you check the instruction on the package. Use a measuring-cup to scoop out one cup of hot pasta water and set it aside. Add the sugar peas, fresh peas and the tips of the asparagus to the boiling pasta, then turn the heat up to a high setting and boil for one minute. Do not rinse, turn the heat off and return to the pot. Stir in the 3 tablespoon of hot pasta water to the small bawl containing the eggs. Add them gradually, one tablespoon at a time and stir well. After that is complete, pour in the water/egg mixture over the pasta and by using a large, wooden spoon stir gently in order for the pasta to coat. Add 1/3 of a cup of parmesan, the cracked pepper and stir in more pasta water (as much as it is needed for the pasta to loosen up). Place it on a platter, or in a bowl and sprinkle it with lemon zest, mint and the remaining parmesan. Now it’s a good time to add pieces of the burrata cheese. Bon appétit. Tired?! In that case, it must be time for a cheesy break with a tasty sandwich. Combine, in a blender, the vinegar, mayonnaise, chipotle, garlic, mustard and ketchup, and mix them until you get a smooth paste. After that, season the dressing with salt according to your taste. Cook the asparagus, in a large pot filled with salted, boiling water, for about two minutes. You will notice that the asparagus will turn bright green in color. After that is done, drain it and spread the asparagus on a baking sheet in order to cool it down. Preheat a large pan, while you drizzle the asparagus with olive oil and season it with salt as well. After that, grill it at moderately-high heat, for about three minutes, or until it is lightly charred and tender. Spread three tablespoons of the smoky French dressing on the cut sides of each sub. 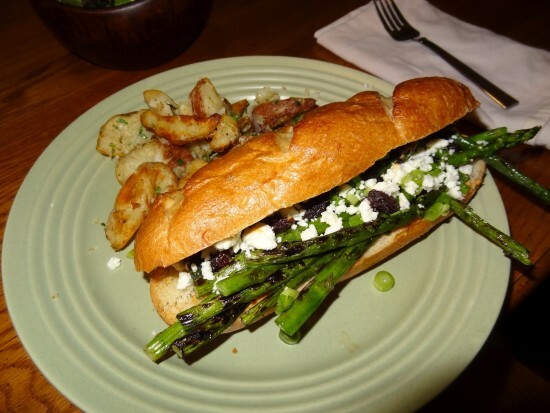 After that, add the grilled asparagus and top it off with the scallions, crumbled feta and raisins. Close the sandwich and serve. 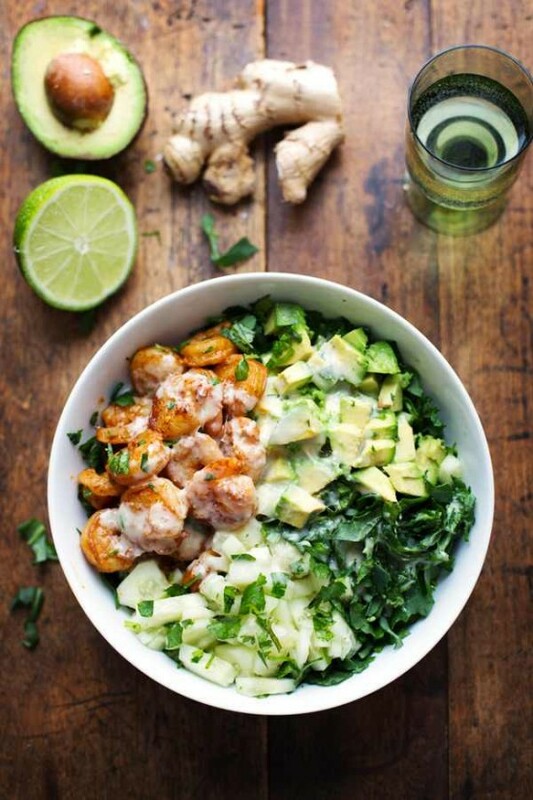 The one thing about combining avocado salad and spicy shrimp with creamy Miso dressing, is that it will taste incredible. First, heat the butter over a medium-high heat, by using a small skillet. After that, add the shrimp and the garlic, and sprinkle them, directly in the pan, with cayenne and chili powder. Let it sauté for a few minutes on each side, until the shrimps have a nice golden color on the outside. The second thing you need to do, is cut in half the avocados, then you need to cut vertical and horizontal lines into the avocado and scoop the flesh out with a spoon. When that is done, go ahead and peel, then cut the cucumber; chop the spinach or baby kale into small, bites size pieces and arrange them into a bowl along with the shrimp. Mix all of the dressing ingredients together into a mixer, until you get a smooth paste. Add salt and pepper according to your taste and pour the dressing over the salad. 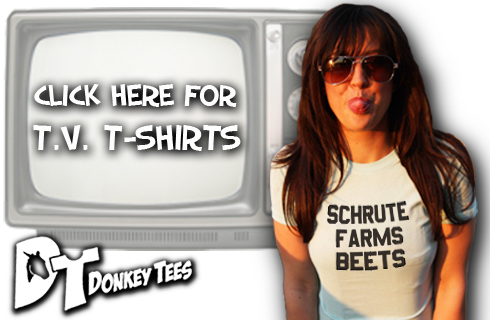 Top it off with peanuts and fresh cilantro for a crunchy experience.